The Lyrid meteor shower is back. Here's how to see April's shooting stars. A full moon could wash out this year's show, but skywatchers could still spot up to 20 meteors an hour. 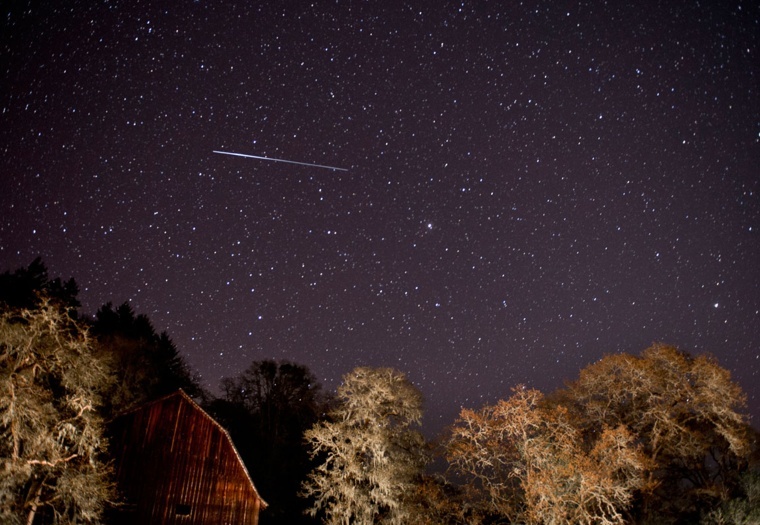 April brings the return of the annual Lyrid meteor shower. Skywatchers may be able to see the shooting stars, though experts say the full moon threatens to upstage this year’s show. “The light from the full moon is pretty much going to completely wash out the Lyrids this year,” Bill Cooke, a meteor expert at NASA's Marshall Space Flight Center in Huntsville, Alabama, said in an email. The Lyrids — so named because they appear to stream from the constellation Lyra — begin on the evening of April 16 and continue through April 28. The action will peak on the night of April 22, when — moonlight and weather permitting — viewers may be able to see about 20 meteors an hour. In some previous years, skywatchers reported seeing as many as 100 meteors an hour. Meteor showers occur when bits of fast-moving debris from a comet collide with Earth’s atmosphere as our planet travels around the sun. As the grains of rock and dust smash into air molecules, they quickly heat up to temperatures as high as 3,000 degrees Fahrenheit (1,650 degrees Celsius) — and create dazzling streaks across the sky as they burn up. “I kind of like thinking about the fact that the particles burning up in our atmosphere during a shower have been orbiting the sun for centuries, finally hitting the top of our atmosphere and going out in a streak of light,” Cooke said. In the case of the Lyrids, the debris comes from comet C/1861 G1, or Comet Thatcher, which was named for the amateur astronomer A. E. Thatcher, who first spotted the comet April 5, 1861. No special equipment is needed to see shooting stars. "All you have to do is lie on your back and look straight up — pretty easy,” Cooke said. Just make sure to pick a viewing spot away from city and street lights — and put aside your smartphone.